Vision MMA’s Dom “Non Stop Action Packed” Steele is one of the newest additions to the UFC roster. He doesn’t have much time to celebrate as his debut is just a few weeks away. Steele (13-5) gets the call to replace Antônio Braga Neto on July 25th and will face Zak Cummings (17-4). Dom has won seven of his last eight including a CES MMA main event back in June to capture their welterweight title. Cummings is 2-1 inside the UFC and is coming off a loss to Gunnar Nelson. Cummings hasn’t fought in over a year. 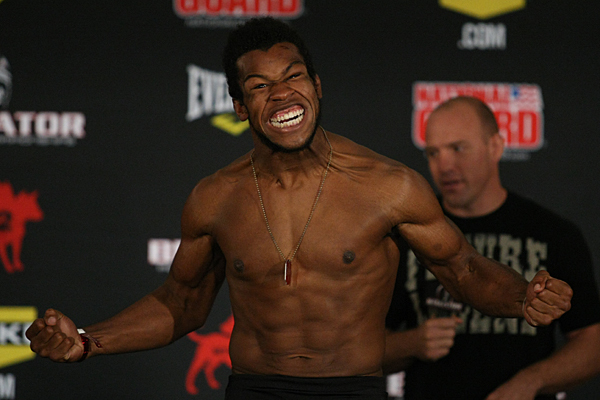 Steele has signature wins over UFC veterans Ryan Thomas and TUF alum Chuck O’Neil. He has fought on AXS TV a pair of times for CES MMA as well as XFC. UFC Fight Night takes place at the United Center on July 25th and is headlined by is headlined by the bantamweight title fight rematch between TJ Dillashaw and Renan Barao. Steele and Cummings is slated to kick off the UFC Fight Pass portion of the card.